Phila. Police Enlist Private Cameras To Capture Crime The police department is encouraging residents and businesses to register their security cameras in a new program called SafeCam. The department is creating a database of cameras so police know where to look for footage that may have caught a crime on tape. A camera is mounted on a building near Temple University in Philadelphia. Humberto Fernandini, with the company that owns the building, says the owners plan to register their cameras for the police department's new program. The Philadelphia Police Department is building a new crime-fighting weapon: a map of privately owned security cameras across the city. Police are encouraging residents and businesses to register their own cameras through a program called SafeCam. It could be the early stages of Big Brother, but it's also a cost-effective way for police to have more eyes on the streets. A large white camera stands out against the brick front of a row house near Temple University in Philadelphia. Humberto Fernandini works for the company that owns the building with the camera. "They are pretty obvious," he says, "and they're high-definition cameras, and they shoot pretty well at night also." Fernandini plans to register the cameras for SafeCam and says he's already had police ask for footage from the camera systems that cover many of the company's properties. Police Commissioner Charles Ramsey says these days, video is key to cracking many cases. "[One] of the things that's different from when I was in the detective division years ago is that now when you're canvassing not only are you trying to find people that might have information, you find yourself looking upwards to see whether or not there's a camera that may have captured that event," he says. "You spend an awful lot of time doing that sort of thing." Ramsey says with a grid of registered cameras, police will know where to look for footage that may have caught a crime on tape. "You save a lot of personnel hours by doing it that way — by knowing where to look," he says. The cameras can also be useful for finding escape routes, Ramsey says. Even if there's not a camera at the scene of the crime, police may find cameras along the suspected escape route that have captured the person leaving in a vehicle. 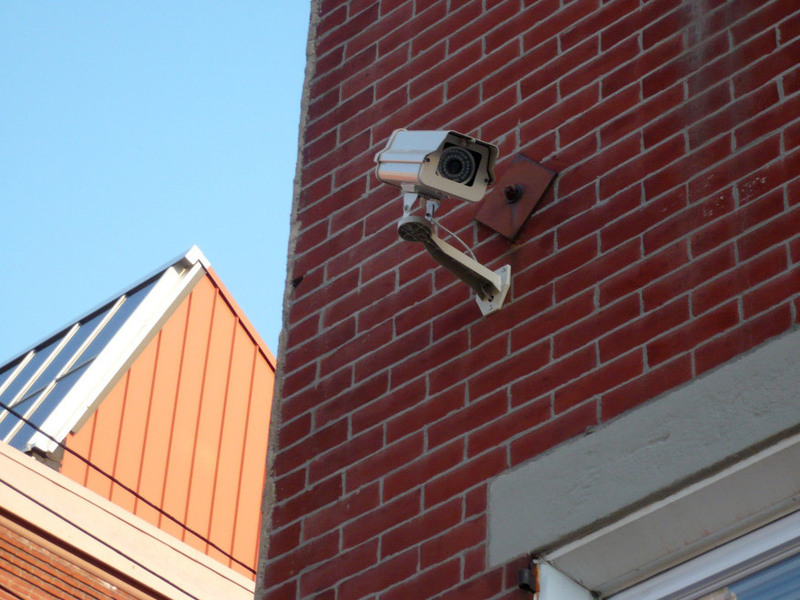 "This is the first program that I've seen that includes residences as well as businesses in a voluntary registration program of their cameras," says Mike Fergus, with the International Association of Chiefs of Police. "Cities have even passed ordinances requiring the registration of cameras in businesses, usually particular types of businesses ... that were often subject to crime." A camera registration program has the potential to spur privacy concerns, but Mary Catherine Roper, a staff attorney with the ACLU of Pennsylvania, says this one looks OK.
"What they're doing is essentially creating a list of people who have cameras, so that after a crime is reported, they can more efficiently look around to see if there's video evidence of the crime. I don't think there's any problem with that," Roper says. "These cameras are not going to be monitored. If they would, we'd have a lot of concerns about them." So far more than 80 different residents, businesses and organizations across Philadelphia have registered cameras in the program.